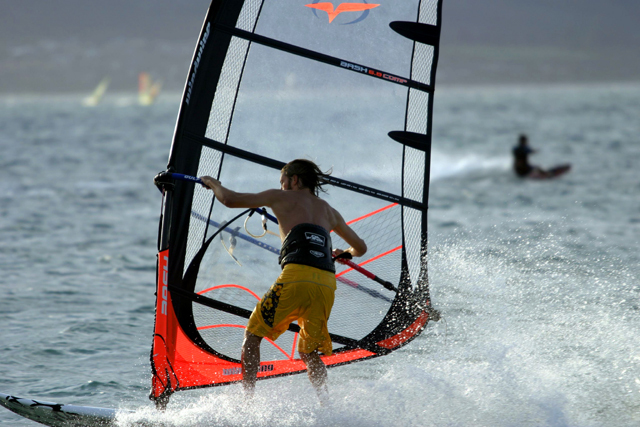 Balok Beach is gaining reputation and momentum as one of the wildest and coolest windsurfing spots in the world. 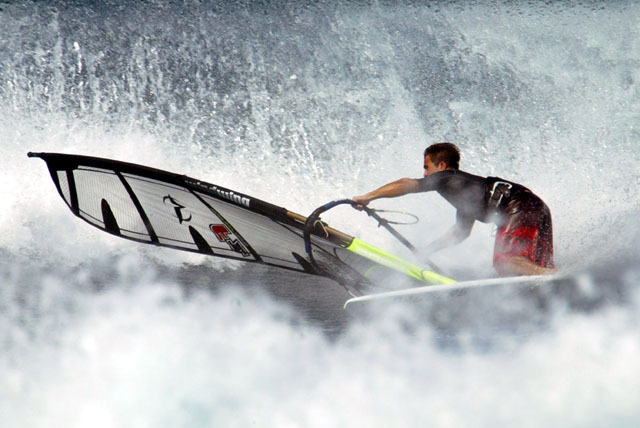 The 10th International Monsoon Madness 2007 recently swept through the east coast of Malaysia and created a splash and thrilling excitement for the participants as well as spectators. It is not known as madness for nothing. How to Get to Balok? It’s a three-hour drive from Kuala Lumpur to Kuantan via the East Coast highway. Exit at the Kuantan Toll Plaza and follow the directions to Kauntan. From there, take the Beserah road towards Kemaman, Terengganu. Balok beach is along the road, about 15 minutes away.However, be warned that the East Coast Highway is a challenge in itself for those not used to long car journeys. Alternatively, take a flight via the national airline MAS (from KLIA) or budget airline AirAsia (from LCCT) to Kuantan. There are budget hotels (from as low as US$13) as well as luxury resorts (as high as US$70 per day). Recommended are Swiss Garden Resort and Spa and Duta Village Resort. International cuisines are easily available ranging from Japanese to Western food. Try the local cuisines when you’re in villages like Beserah and Balok. Recommended are nasi lemak (coconut milk rice), nasi dagang (coloured rice eaten with curry), mee calong (noodles), tom yam soup (spicy, zesty Thai-influenced clear broth with seafood), satay (grilled skewered meat marinated in spices and eaten with peanut sauce), and mouth-watering snacks such as keropok sago (cackers made from sago) and keropok lekor (crackers made from fish). Quench your thirst with young coconut drinks or ABC (crushed ice added with syrup, milk, and beans). All competitors hit the start line together and race out 4kms into the open sea, gibe around a marker buoy and back to the beach. 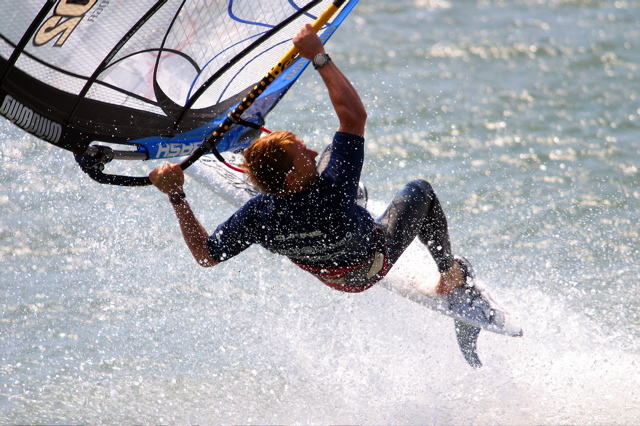 Kitesurfing is a combination of the above plus another category called Hangtime. They are judged on how long they remain in the air. On average it is four seconds. 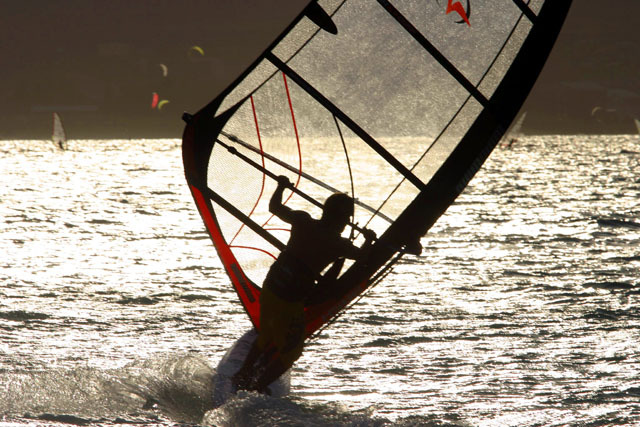 Competitors are categorised into Open, Masters (age 40 and above), Malaysian, Ladies and Kite surfing. 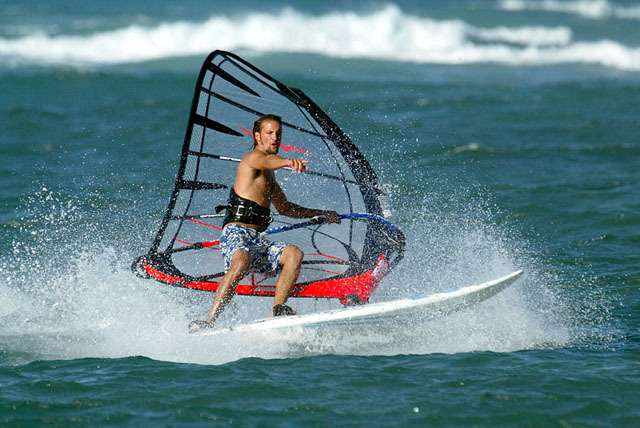 Windsurfing is an exciting sport. Challenge the difficulties, challenge the life and challenge yourself. 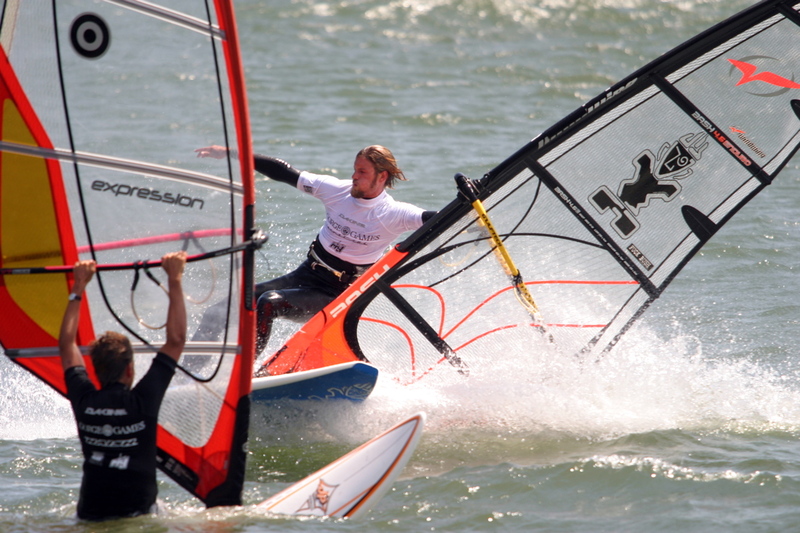 Enjoy here with some windsurfing photo gallery to show the funs of the game. This entry was posted on Wednesday, February 7th, 2007 at 9:43 am	and is filed under Advice and Guide. You can leave a response, or trackback from your own site.